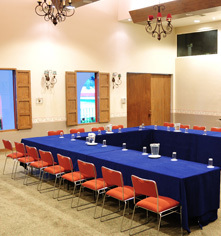 Hacienda Jurica by Brisas offers efficient service and a prime location that combines to create successful meetings and events. Boasting dramatic architecture and tranquil gardens and courtyards, Hacienda Jurica by Brisas lends the ideal setting to inspire productivity. 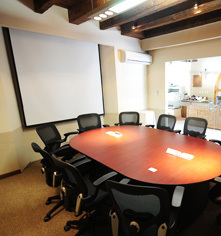 Having hosted numerous national and international conventions and groups, this Spanish Colonial property features 11 meeting and event rooms that can accommodate up to 800 attendees. 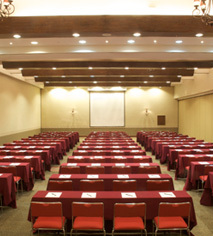 The Convention Center, with its contemporary architecture, large spaces, and steep heights, can accommodate a capacity of 1,000 people in the theater style or 700 for banquets. The Center utilizes fine materials that provide a warm and elegant appearance, gathering the ideal characteristics and conditions to provide impeccable service Brisas Group style. The main entrance is through a monumental dome that connects to a foyer with transparent facade, where the heights and spaces will serve as stages for multiple events surrounded by the tranquility of nature.